De La Salle School is located at 38, Teck Whye Crescent in Singapore 688945. It is enclosed within the Choa Chu Kang Region. Choa Chu Kang is a major residential area situated at the western section of Singapore. It is rapidly developed by HDB into a modern township. The three large neighborhoods in this region area Teck Whye, Yew Tee and Choa Chu kang. Closest MTR is Choa Chu kang and nearest bus interchange is Jurong Bus Interchange. Amenities in the area include Limbang Shopping Center, Bukit Panjang Plaza and Greenridge Shopping Center. 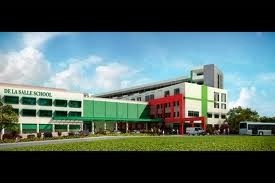 Other schools nearby are Pioneer Junior College, Teck Whye Primary and Secondary School and South View Primary School.